Other versions: XONE; PC; NS. The closure in 2012 of Studio Liverpool, the development house behind WipEout, appeared at the time to precipitate the demise of the futuristic racer. Contrary to what this apparent harbinger of doom might have indicated however, the second decade of the 21st Century has proven extremely fruitful for such titles. An increasingly sizeable demographic of gamers has started leaning towards more demanding gameplay, something the mainstream road racers can no longer guarantee. Fans have discovered their niche in a form of racing that has always offered considerable complexity of control and an enduring challenge, with hardware that’s finally able to make good on its demands. 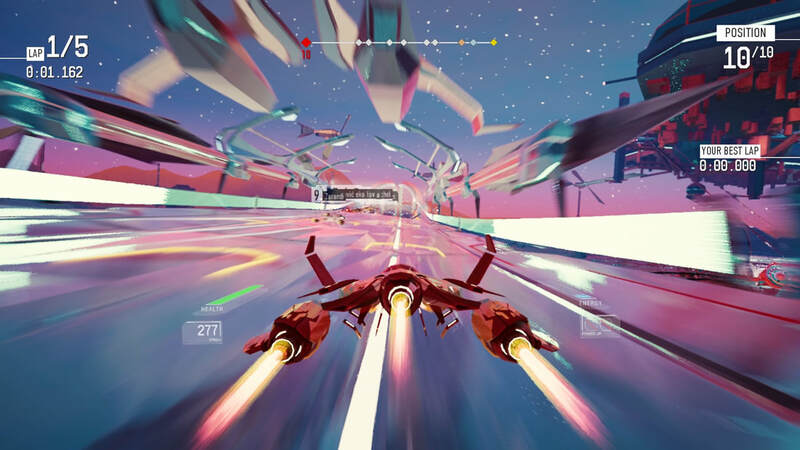 Redout Lightspeed Edition, a retina-punishing ode to WipEout, F-Zero and the like, sees the evolution of the genre continuing at a frightening pace. However, its excessive difficulty will likely dissuade all but the most competitive of gamers. 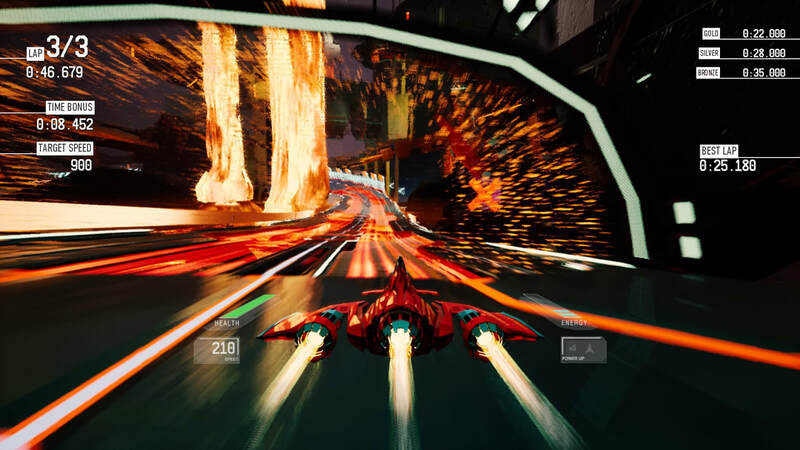 ​Redout knows its audience, and ticks all the right boxes: astounding turns of speed, a bombastic dance soundtrack, a light dusting of power-ups, a broad array of race options and no fewer than 35 race tracks to master. These begin with the comparatively benign, dust-bowl dystopia of Cairo and the corkscrew helter-skelter of Alaska, offering the gamer a (not-so) gentle introduction into the game. V.E.R.T.E.X. delivers your token virtual reality training setting, where perilous jumps, sharp banks and eye-mashing visuals make for a sterner test. Then it’s on to the really tough circuits. The Volcano circuit sets the world alight, and there are many other remarkable sights to behold, not that you'll have much time to admire them! As you progress through the four speed classes, you’ll encounter ever-more daunting, remarkable courses that thrum with the high-speed, high-stakes danger we’ve come to love of the genre. Some of the layouts are more memorable than others, and in this regard it isn’t quite as consistently good as FAST Racing NEO, but there are few duds. The Volcano tracks are excellent, as rather than opting for claustrophobic surrounds, 34BigThings has taken the opposite approach, with long, open sections that are viscerally fast, amidst fiery lakes and lava falls. Redout’s toughest courses are literally out of this world. The Neptune tracks are set in space, where you’ve numerous, zero-gravity jumps to contend with, and a miniscule margin for error. Europa presents the aesthetic high point of the game. Jupiter’s icy moon hosts a seamless blend of wintry surface racing and subterranean sections. It makes for a remarkable assault on the senses, with narrow, fast, jackknifing layouts that are a real test of skill and concentration. 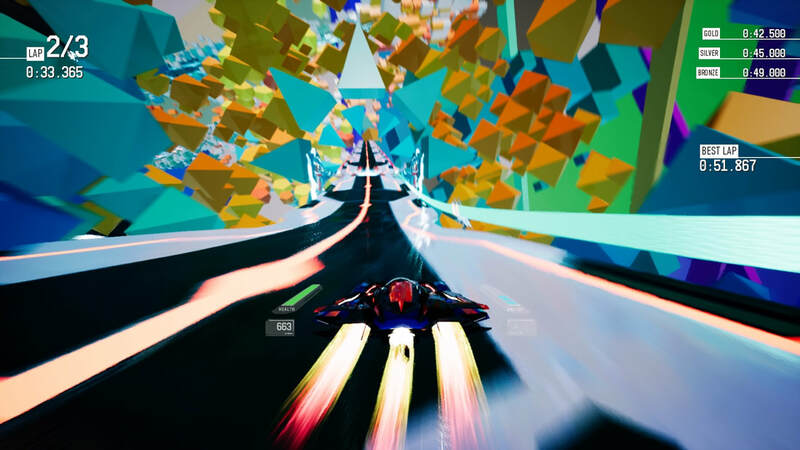 From a technical standpoint, Redout is top-draw. The velocity and smoothness of the racing is something to behold, whilst both crafts and circuits are sleek and stylish. There are times when the visual design seems to veer between too clinical an appearance, and too garish, but it strikes a decent balance most of the time. The two-player split-screen runs to an excellent standard (though it’s a tough one to play casually, especially with someone who’s unfamiliar with the controls), as does the online multiplayer. It’s just a shame you can’t tackle anything more involved than isolated events with friends. Career mode sees a raft of challenges. There’s the usual race, tournament and time trial variants, but of greater interest are the more adventurous ideas, of which there are some hits and some misses. Boss mode, which sees the player passing through a lap of each of a location’s circuits, one after the other with seamless transitions, is genius. Instagib, a high-risk time trial that severely limits your craft's shields, works nicely too. Then there’s Score, which rewards the player for spending periods of time spend at or near the front of the pack. It’s a cool idea, but one that could have benefited from a few scoring tweaks, as too much reward is placed on achieving clean sectors, and not enough for competitive driving. The Survival mode, a gate-chaser scenario, is unintuitive and awkward due to the litany of obstacles blocking the race track, and it doesn’t really suit Redout. Handling is responsive, if little on the weighty side. Perhaps too much so, for a racer that demands such fine adjustments and offers so little room for error. Nevertheless, Redout delivers an incredible adrenalin rush. It’s one of the most demanding racers you could hope to experience. 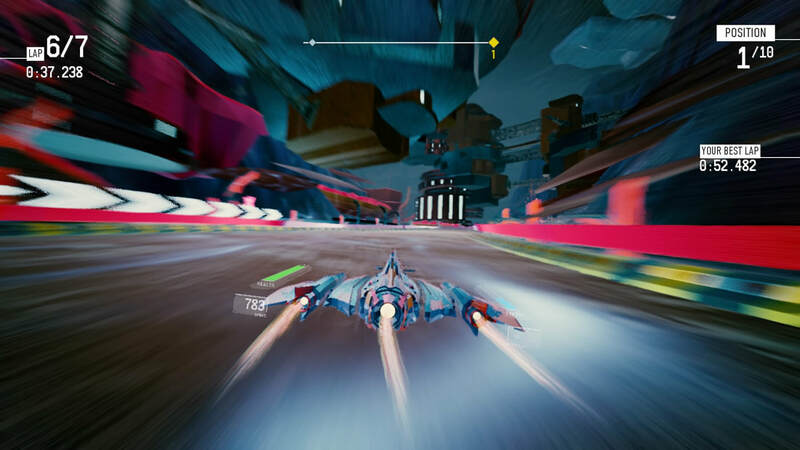 Not content with employing gut-wrenching speeds and narrow, perilous circuits to tax the player, Redout also assigns a banking motion to the right analogue stick. When used correctly, this widens cornering trajectory, helps to prevent crafts bottoming out on the corkscrews, and allows for some sense of control when airborne. Balancing these motions with steering and braking is no mean feat, but highly satisfying when you start to grasp it. It’s imperative the player gets a feel for the banking, as success will not be forthcoming otherwise. Mastering its gameplay is one thing, but the extreme difficulty of the A.I. means Redout can be a slog at times. Due to the game’s speed and the considerable amounts of concentration you’ll need just to deliver decent lap times, the mere presence of opponents darting around in your eyeline can be off-putting, as can the rather heavy-handed jostling that takes place off the line. The power-ups are a bit half-hearted as well. With just the one active and one passive attribute at your disposal per race, you’ll end up picking speed or handling boosters, just to remain in contention. There’s no getting around it, Redout is a momentously tough game. It’s hard, even by futuristic racing standards. Only on the Easy skill level could I manage to make significant progress. It’s a misnomer if ever their was one, as even on this setting, it takes a great deal of practice to reach a competitive standard. I may have finished WipEout HD on Elite, but I confess, Redout’s two harder difficulties were beyond me. Small mistakes are punished severely, often resulting in your competitors disappearing off into the distance, and if you find yourself at the back, it's often a lonely race. There a number of interesting modes, including Speed, which tasks you with staying above a certain speed for as much of a lap as possible. As such, it may only truly please the very most adept of gamers. It’s an extremely impressive build, but isn’t ultimately as enjoyable as FAST Racing NEO. The Wii U classic proved similarly unforgiving, but retained a crumb of accessibility, and as such, was a lot of fun. 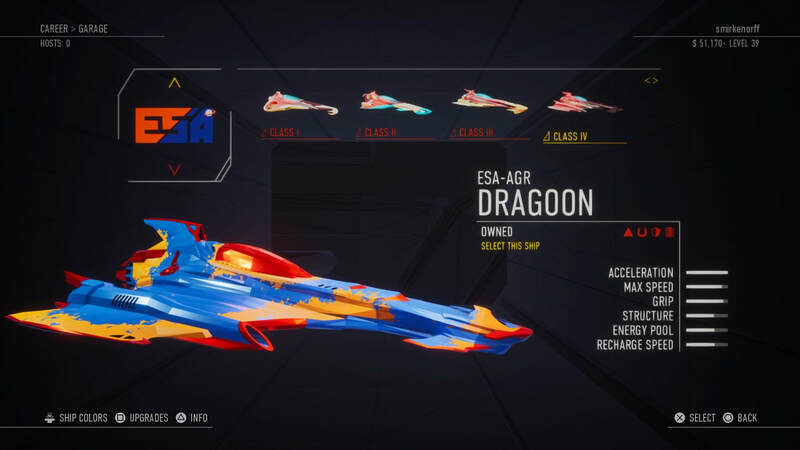 For PlayStation 4 owners, WipEout: Omega Collection might make for a more rounded experience, provided its heavily recycled assets (dating back to PSP instalments that were subsequently remastered on the PS3’s WipEout HD) aren’t already overfamiliar to you by this point. 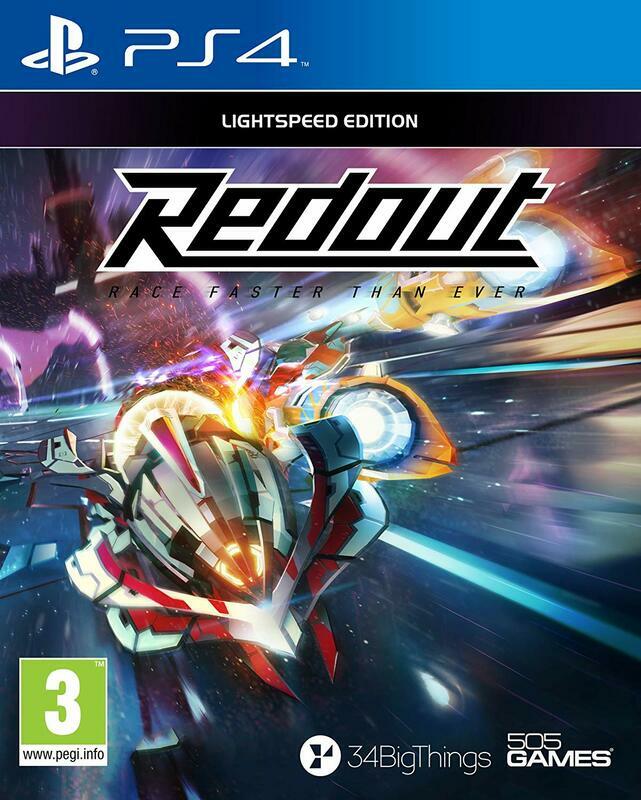 If you understand what you’re getting into, and have the time and patience needed to get the most from Redout Lightspeed Edition, then it’s an easy recommendation. There’s a raft of challenges that will take months to beat, whilst leaderboards and platinum medals will likely coax gamers back. A few more split-screen multiplayer options would have proven very welcome, and some of the game modes ventured miss the mark. 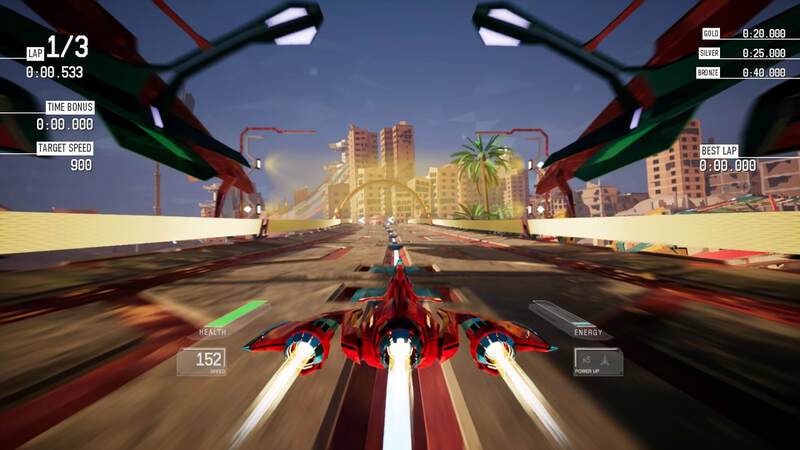 However, few games in recent times have managed to encapsulate the late-nineties, futuristic racer zeitgeist quite so fully as Redout. "The velocity and smoothness of the racing is something to behold. It's dauntingly difficult, but for those who have the patience needed to get the most from Redout, it’s an easy recommendation"